Hello Dealsnloot Readers,I Am Back With New Dominos pizza Coupon Codes.Here we have posting Domino’s coupon for entire April 2016. 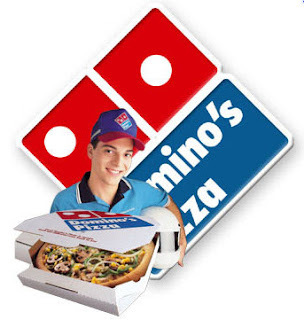 Domino’s Pizza has a variety of Pizzas with different type of toppings. You can now order your favorite Domino’s pizza across India from Domino’s website and that's too at discounted rate using given Domino’s coupons and Dominos wallet cashback offer. Here we have posting Domino’s coupon for entire May 2016. Mobikwik: 15% cashback upto Rs. 75 coupon: MOBIDOM. Pockets by ICICI: 20% cashback upto Rs. 200. HDFC PayZapp: Rs.50 off on 1st transaction. PayTm Wallet: 50% cashback upto Rs. 100 on every 10th Transaction on Dominos. Not applicable on Simply Veg, Simply Non-Veg, Regular Pizzas, Combos, Beverages, Desserts & Fresh Pan Pizza. Pay the amount only using Mobikwik/PayUMoney/PayTm.